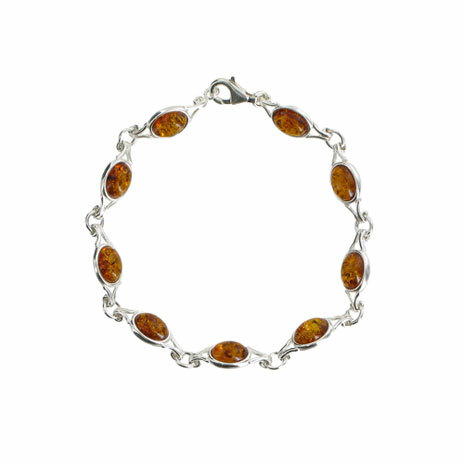 A handmade amber bracelet inspired by Viking jewellery. Amber is fossilised tree resin commonly found in the Baltic regions. 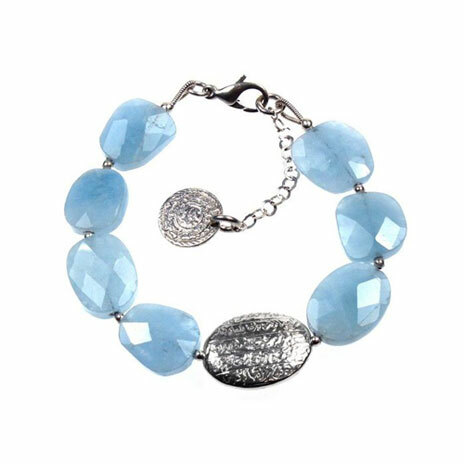 The gemstone has been appreciated for its colour and natural beauty since Neolithic times. Amber was worn by the Vikings in simple shapes in a variety of decorative motifs, especially the Thor's Hammer. This jewellery forms part of a special range by Amber Hall - a Polish design studio that specialises in bespoke amber jewellery. 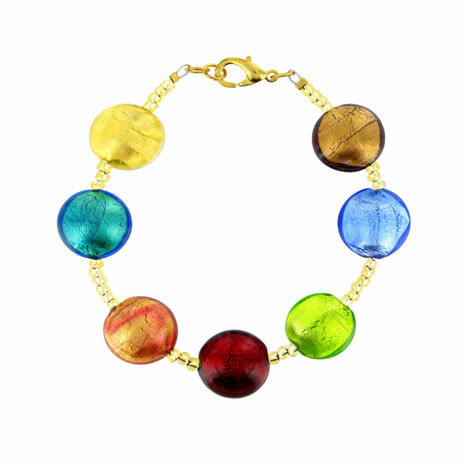 Each piece is hand-crafted by Polish artisans using amber in its various colours and forms. 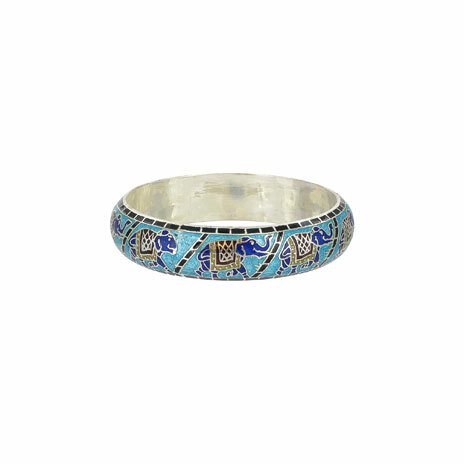 The bracelet is ideal as a culturally-inspired gift. Amber occurs in a range of different colours, three of which are represented within this range, from yellow, to green shades, although amber itself can range from a whitish colour through a pale lemon yellow, to brown and almost black. Because it originates as a soft, sticky tree resin, amber sometimes contains animal and plant material as inclusions.